We take pride in delivering quality projects without any undue pressure on your budget. All our services are licensed and insured for a safety experience to you. We are a company specialized in commercial and residential roofing systems. We take care of your needs and handle projects with unparalleled expertise. At Prosper Tx Roofing Pro, we believe your house exterior forms an integral part of your curb appeal. And we feel proud to provide such high class services as accentuate your personal expression through that exterior. With over 25 years of experience and seasoned craftsmanship, we bring construction, installation and renovation projects from a sketch on paper to an aesthetic masterpiece on your property. 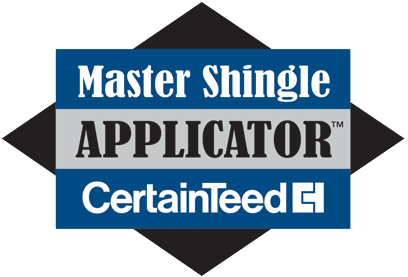 We, as a licensed leaders in commercial and residential roofing system establishment in Prosper Texas, bring to you these excellent services as mentioned below. Feel free to browse through the catalog of our A+ rated services below and do let us know which one(s) you would like us to serve you with. We at Prosper Tx Roofing Pro are a full-service roofing system installation and renovation company based in Prosper Texas. We started our journey in 1992, and our journey has brought us over 25 years of experience in roofing services along with overall house exterior establishment services. We are a family of professionals, with reliable, cooperative and supportive craftsmanship. With a transparent and straightforward approach, we believe one's humble abode can tell a lukewarm story through its exterior. Much like a mirror to what warmth is enclosed inside the house. We also take pride in the 100% satisfied corporate clientele, for we also handle commercial building roofing system installation and also provide excellent roofing restoration and replacement services. We believe every construction needs the utmost care, which is why we treat every project as if it's our own. Irrespective of project area, height or size, with our unique design/build philosophy, we handle the job from its conception on paper, to its realization on your property. It is only because of our hard work and professionalism that we are a licensed company and have been accredited with BBB A+ in Prosper, Texas. To find out more about us, get in touch, give a call, or drop us a mail. We are here to listen. How Can You Maintain Wood Deck and Fence On Day-to-Day Basis? When do you need to change a garage door? I was in touch with several roofers to fix my commercial roof. Prospertxroofingpro Company was only the genuine roofing who invested their time on my roof and explained me the flaws that I was having on my roof. The work was done very quickly, and the roofing repair looked terrific. They worked beyond my expectation and gave me the best value for money. I am highly pleased with the communication and the work that they provided to me. Prospertxroofingpro is one of the top-notch roofing company across the Texas. If you want the job to be done correctly and professionally, then Prospertxroofingpro Company is highly recommended. Once in the morning, a tree fell on my residential roof, and I had to fix the matter in a real quick time. I called 972-979-1070, and in no time they came at my place and got the job done. They are without any doubt highly recommended.